There are now more than 1.3 billion people using Facebook Messenger every month. Have you considered the possibility of using it for your marketing? We certainly have. And we have been experimenting with different ways to include Messenger as one of our go-to marketing tools, by sending out our latest blog posts through Messenger and engaging and helping our customers through the platform too. Since we are in the midst of figuring things out, we thought it would be great to share what we have found so far. Here’s everything we know about using Facebook Messenger for your marketing. We often think of social media as just the major social media networks such as Facebook, Instagram, Twitter and LinkedIn. But that thinking misses a big part -- a bigger part, in fact -- of social media. And that’s messaging apps. According to BI Intelligence, more people are using the top four messaging apps (WhatsApp, Facebook Messenger, WeChat and Viber) every month than the top four social media apps (Facebook, Instagram, Twitter and LinkedIn). And it seems that the gap between the two lines is getting bigger. Instead of being a one-to-many channel, social media is becoming a one-to-few -- and often one-to-one -- channel. 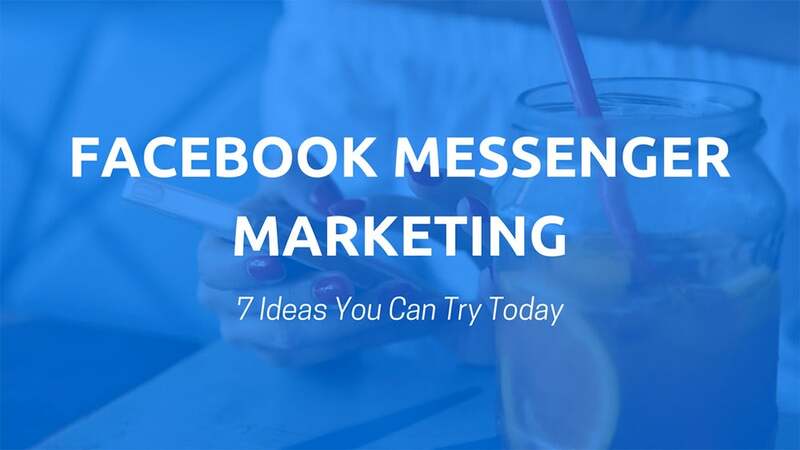 If you are starting to think that messaging might be great for your business, read on to find out the seven ways of using Facebook Messenger for your marketing. The most common approach to deliver content to your readers is to use email. But HubSpot wanted to find out if using Facebook Messenger is a better alternative. So instead of just asking people to fill out a form and get the gated content via email, they offered the option to skip the form and get the content via Facebook Messenger. After four weeks of testing, they found a clear winner. The Messenger strategy results in a 242 percent higher open rate and a 619 percent higher click rate. If you want to explore this strategy, Matthew Barby from HubSpot wrote a great guide on building a Messenger chatbot using ChatFuel. With ChatFuel, you can create a chatbot to deliver your content (and more) without having to code. And it’s free regardless of how many messages you send. Besides pushing content to your followers, you can also use Facebook Messenger to help your followers “pull” content to themselves. Creating a chatbot that allows your followers to search is a little more complicated than creating a chatbot that simply delivers content. But tools like ChatFuel, ManyChat and Botsify have guides and templates to help you. If this strategy excites you, I would encourage you to have a go at these tools and see what you can do with them. Another way HubSpot uses Facebook Messenger is to send important information and reminders about events that people have signed up to. Similar to the example above, they found that the response rate on Facebook Messenger was significantly higher than that on email. I signed up for their Four Days of Facebook event through Facebook Messenger (which felt much nicer than filling up a form). The day before the event, they sent me a reminder with links to add the schedule to my calendar app. During the four days, they updated me about the day’s talk and sent me a link to watch the session online. At the end of the four days, they followed up to ask if I enjoyed the event. The entire experience felt smooth and appropriate for an event on Facebook. And it works well for events that are not on Facebook, too. 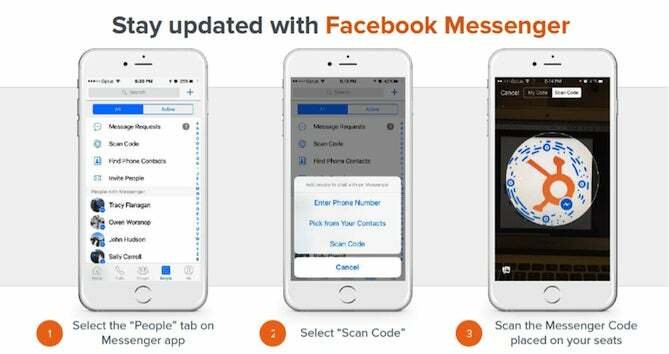 For example, for their offline events, HubSpot made use of the Messenger code to allow attendees to receive real-time updates through Facebook Messenger. With a tool like ManyChat, you can create subscriber lists and broadcast messages easily. Broadcasting messages is very similar to sending an email. Just type your message, add attachments and send. Since Facebook Messenger is still a relatively new and novel marketing channel, it is a great way to get people’s attention and to generate high-quality sales leads. According to Dmitriy Kachin from Chatfuel, the response rate on Facebook Messenger is incredibly high at the moment. Within a few months, they reached more than 100,000 people and generated about 50 sales per month through the Facebook Messenger chatbot. When HubSpot tried a similar approach to generate leads through Facebook Messenger, they “saw a staggering 477 percent reduction in our cost per lead, while lead quality only slightly decreased." Their advice? One thing you might be wondering is this: how do I get people to talk to me on Facebook Messenger in the first place? Facebook ads. There are two types of Facebook Messenger ads you could use. The first type, click-to-Messenger ads, which I mentioned briefly above, allows you to direct people from the Facebook News Feed to a Messenger conversation with you. The second type, sponsored messages, allows you to initiate a Messenger conversation with anyone who has messaged your Facebook Page before. 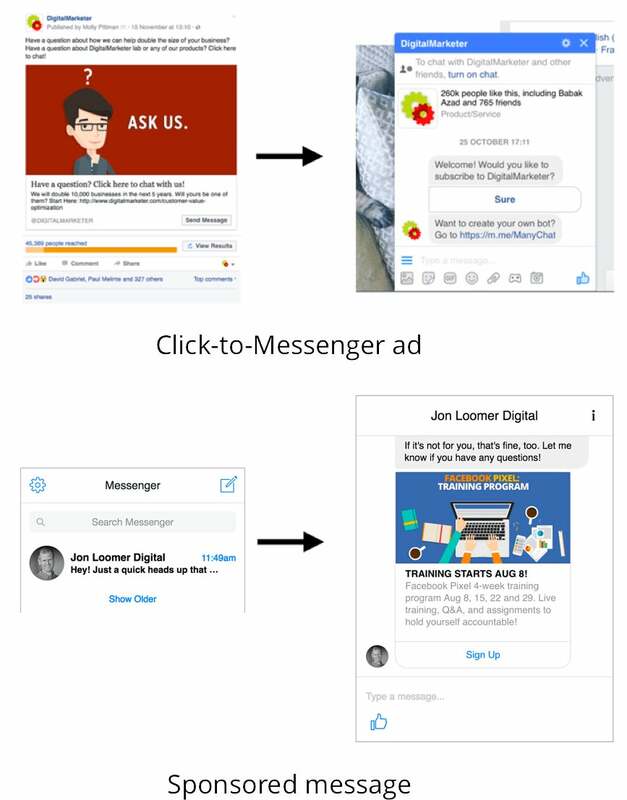 A great way to use these Facebook Messenger ads is to re-engage potential customers, such as people who have visited your pricing page but didn’t purchase your product or people who have asked you questions via Facebook Messenger before. For example, you can use the click-to-Messenger ads offer them a channel to ask any questions they have or you can use sponsored messages to send relevant content and offers to them. Molly Pittman from Digital Marketer described these two approaches in great detail in her blog post. Using sponsored messages, she was able to get a read rate of 67 to 90 percent. Compared to an open rate of about 20 percent for emails, these results are incredible! 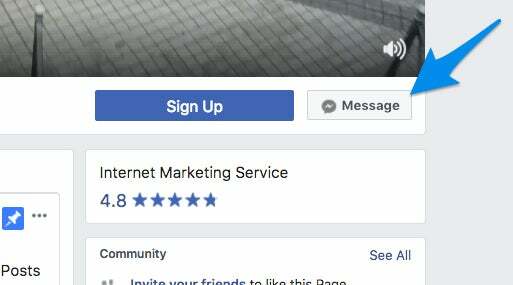 For a detailed walkthrough on how to create these ads using the Facebook Ads Manager, check out Jon Loomer’s guide on Facebook Messenger ads. The Facebook News Feed is saturated with ads. Imagine being able to reach your target audience without all the noise. One-to-one. With Messenger ads, you can do just that. People will see your ad in the home tab of their Messenger mobile app. When they tap on the ad, they will be brought to your preferred destination -- your website or a Messenger conversation. But here’s something to consider: the reaction to such ads is mixed. While marketers are likely rejoicing at this opportunity, some people are finding such ads unpleasant. (What’s your take?) It might take some time for people to get used to having such ads in the Messenger app. 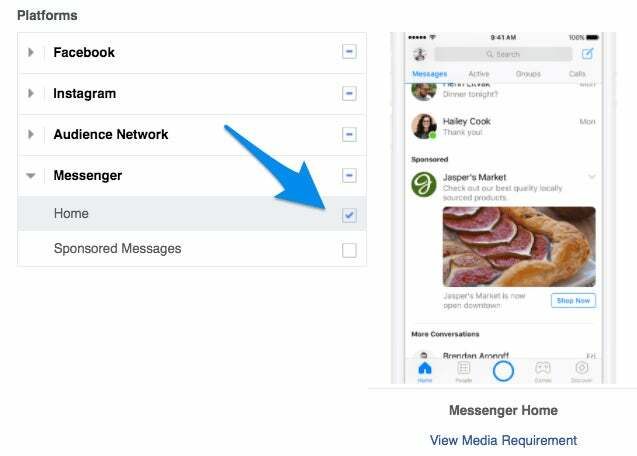 To have your Facebook ads displayed in the Messenger app, select Messenger Home for the placement of your ad. The last strategy (of this list) for using Facebook Messenger is something you might be already doing. That’s providing timely customer support through Facebook Messenger. As Jay Baer, President of Convince & Convert, suggests, social media customer service is the new marketing. It’s clear that people prefer to contact brands through messaging than through other channels. And they want a response from brands -- a quick one. As mentioned earlier, Facebook found that 56 percent of their study’s respondents would rather message than call a business for customer service. 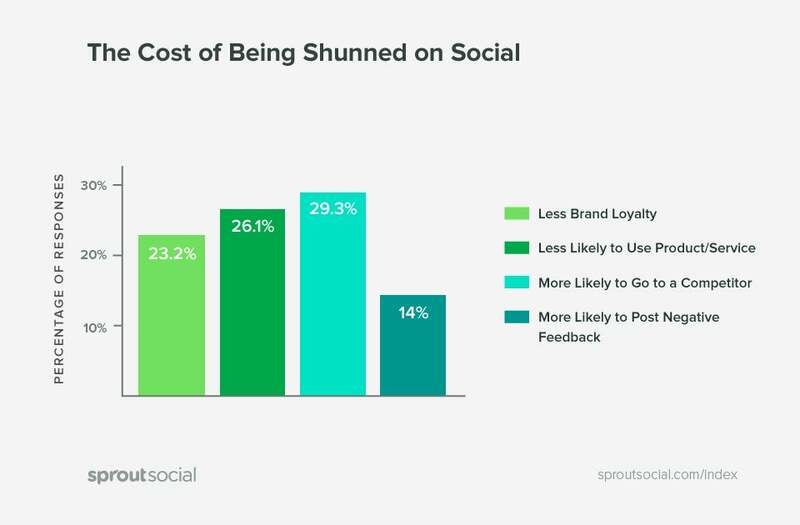 In a survey of more than 1,000 people, Sprout Social found that most consumers expect a response on social media within four hours (while brands take an average of 10 hours to reply). They also found that 30 percent of the people would go to a competitor if a brand doesn’t respond. It’s very easy to get started with this strategy. First, you want to allow people to message you on Facebook Messenger. You can enable this in your Facebook Page settings. Under the “General” tab, look for “Messages” and click “Edit." Then, check the box and click “Save Changes." 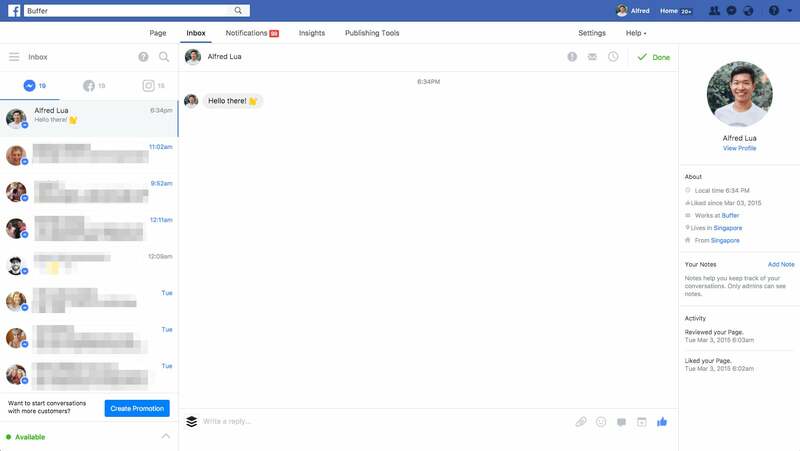 Now, visitors to your Page will see a “Message” button on your Page, which they can use to initiate a conversation with you on Facebook Messenger. 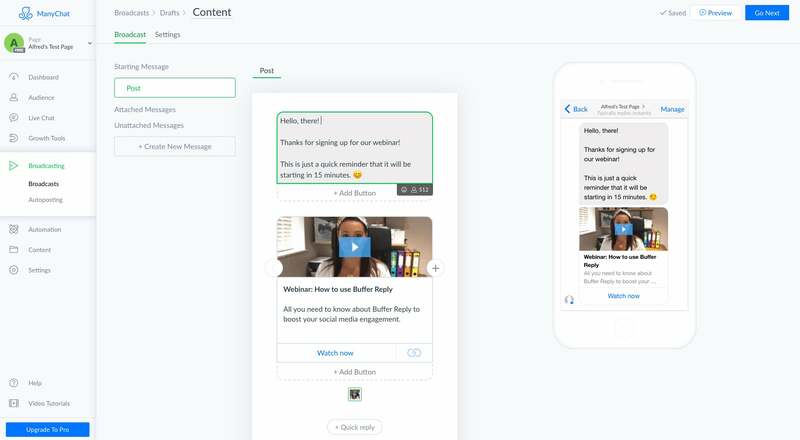 At Buffer, we use our social engagement tool, Buffer Reply, to reply to all conversations on Messenger -- and Facebook, Instagram and Twitter -- from a single inbox. If you manage multiple social media profiles, we would love for you to check it out. How would you use Facebook Messenger? 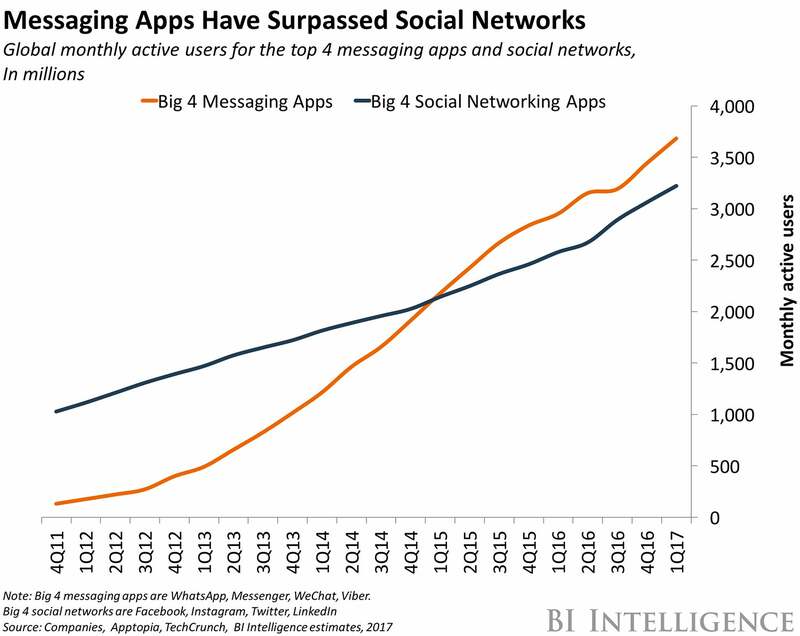 As more and more people adopt messaging, the potential for you to market and grow your business through Facebook Messenger becomes even bigger. And Facebook is working hard to make Facebook Messenger a great channel for businesses. For example, Facebook created a new Messages objective for Facebook ads, which allows you to reach people who will most likely reply your business on Facebook Messenger.